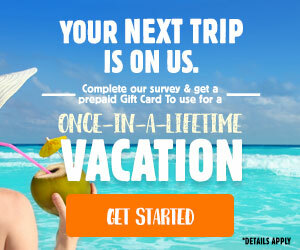 Would a $500 Prepaid Giftcard be of value to you during your next vacation or weekend getaway? If yes, are you willing to spend a little time participating in the Ezrewards.net marketing program? No heavy lifting involved, and time investment should be pretty light. *In order to receive the item(s) as offered (the ‘Incentive’), you must complete participation requirements which can include taking surveys, requesting information, and purchasing products. This incentive has a maximum value of $500. View their complete participation requirements for more detailed information. You must be over the age of 18 to participate in this promotion. This program is powered by Ezreward.net, an independent rewards program that is solely responsible for gift fulfillment. For additional information or specific questions, please contact Ezreward.net via email or write to them utilizing the mailing address below.